We are super excited to introduce you to Ana Koehler, who recently joined the AB team. She's a mother, a doula, an artist, and the co-founder of an ATX organization for female entrepreneurs. Ana is a grounded, curious, and tells-it-like-it-is kind of gal and WE LOVE HER! What color represents you best? Haha, what free time?! I'm always trying to carve out time to paint and make art. It's tricky with a 4 year old at home. I love spending time with my family outdoors, I really enjoy taking long walks alone while listening to a podcast which is something I always did in NYC but it's more complicated here. I love walking so much, I've been thinking about starting a walking club! Anyone interested?! Ha. I really value girlfriend time and love hanging out with the amazing women in my life as often as possible. Sigh. I think I've decided that I don't want to grow up. Tell us about your last job. How has it influenced your work as a doula? I worked in NYC as an account executive for a British fashion label. Very very far from birth work! I think the biggest influence would have to be making connections and maintaining them. I learned the art of "following up" through working in sales, and that is key as my work as a Doula. What is one thing people may not know about doulas? We must process every birth experience we attend. A lot of us journal about it, or talk with a loved one. It's incredibly life changing to witness another person birth a baby, and we are so lucky to be able to see it so often but with that comes a lot of emotions and we must always process and restore before we can move onto the next birth. If you had 5 minutes to teach a new skill to a birth client what would it be? I would chat with them about breathing and things/sayings that comfort them in their daily life and how we can bring those to the table when labor begins. The door to the room you're in right now opens. Who do you want to walk through it? My parents. They live too far away, and I don't get to see them often. I miss them! We are so thankful for FaceTime. What do you think about on your way to a birth? I'm usually going through all our prenatal discussions in my mind, remembering wishes and birth preferences. What's one of your favorite tips to give to postpartum parents? This too shall pass. I always try and remind my clients that everything is changing and shifting and passing and to trust their instincts and themselves. Also, If my client is breastfeeding, I always recommend the Haakaa Silicone Breastmilk catcher! It didn't exist when my son was born but it certainly would have changed my life if it had. It's magic. Your favorite song comes on right now. What is it? I had a healthy pregnancy and hospital birth with my son Lochlan four years ago so felt confident that I wanted, and would ultimately have, a home birth with my daughter. I picked amazing midwives and was preparing both mentally and physically to have her in the comfort of my bedroom by buying all the necessary items and reading everything I could about unmedicated births. At 34 weeks, my daughter had other plans. I got out of bed on a Sunday morning and felt like I had wet myself but I knew that’s not what it was. I tried to take the day in stride. I wasn’t prepared to have her yet; there were so many loose ends I had to tie up and things I had to do to ensure her arrival was everything I had dreamed of. But after hanging out around our house, confirming with a simple test that I was in fact leaking amniotic fluid, and consulting with our midwives, my husband and I headed to the hospital that evening to have our daughter. It was such a surreal experience to be back at the hospital where my son was born. It was a familiar place and somewhere I felt comfortable as I had volunteered for over a year in their postpartum and newborn care floor. But I had no experience in their NICU - a place where my daughter was sure to go once she was born. As I told a dear friend, being a parent of a premie in intensive care is a club you know exists but one you never imagine belonging to. The staff were amazing and took good care of me. Knowing I was a doula who had planned on a home birth, they were respectful and thoughtful with the decisions I was making and left me and my husband to labor on our own (as much as a hospital can allow). While we waited for things to pick up, we watched movies, held hands, and with dry and sometimes tearful eyes talked through what life would be like once she arrived. Later the following afternoon, I had an acupuncturist come to my room to help alleviate stress, anxiety, and to hopefully kick start the labor process. My midwife became my doula and arrived that evening, about 24 hours after I was admitted. The birthing process was somewhat of an outer body experience. I had been to 30 births and knew what labor looked like including the flood of people that emerged when a baby is about to be born and the sweet embrace that happens when mom and baby first meet earthside. My beautiful girl came fast, so when I was on the bed, I was simultaneously pushing but also taking inventory of the room to make sure all the necessary people were there. My husband and midwife were right next to me to keep me grounded, as it’s hard to be the mama and a doula all at the same time. Of course I was so excited to meet my sweet girl but felt almost selfish about these feelings because I thought she wasn’t ready. And I was terrified that she wasn’t going to be ok when she was born, so when the sweet moment arrived I couldn’t bring myself to look down for fear that I couldn’t handle my sweet baby as she was. Aila was born and after I heard her first cry, I knew that she would be alright. For a brief few moments she was in my arms and my husband was allowed to cut the cord. The NICU staff were on hand and did what they needed to do and gave me a few more precious moments before she was taken upstairs to be hooked up to oxygen and a feeding tube. As a birth worker, I have told countless parents that they need to take it easy and hunker down at home for at least the first few weeks to rest, recuperate, and bond with their baby. As a parent of a NICU baby, that just isn’t reality. Within hours after her birth, I was pumping around the clock to ensure she would have my colostrum and to increase my milk supply. It was eerily quiet in my hospital room without the sweet cries of my daughter. I would make the long trek to intensive care to see her all hours of the day and night to share just a few precious moments with her and by her second day of life I was finally able to hold her in my arms. I was discharged from the hospital after three days and came home to an empty bassinet and with a heavy heart. Every moment I wasn’t up there, I felt guilty and like a big piece of me was missing. I am indebted to the Mothers’ Milk Bank of Austin and the selfless donor mamas. My sweet daughter was the beneficiary of their generosity when I wasn’t able to supply her with enough milk within those first few days of her life. Providing breast milk to my daughter was important to me but was even more so as a tiny NICU baby. It’s something I will never forget and I hope to pay it forward in the near future. My daughter spent 10 days in intensive care and is now home and in our safe, loving arms. Our family feels complete and my heart is full. Her birth was the exact opposite of everything I had planned for both mentally and physically and I am still coming to terms with it. I’ll never know why my water broke early and I continue to struggle with feelings of guilt that somehow my body failed her. I wept tears of joy the moment I found out I was having a girl and I’d like to think that she decided to come early because she was just as eager to meet me. Like all major life events, birth has a profound impact on us as persons and our core being. Aila’s birth has been one of life’s biggest teaching moments and I’ll carry it with me forever. Surrendering to what has happened and those things I cannot change has been the hardest but most poignant lessons of all. My husband and midwife were a rock star team and I could not have done it without their support. This experience has further solidified my commitment to my work and I am eager to get back to my sisters at AustinBorn. I am so grateful that I’m in this field - a place where I can continue to grow, process my story, and share all the newfound wisdom I have gained. 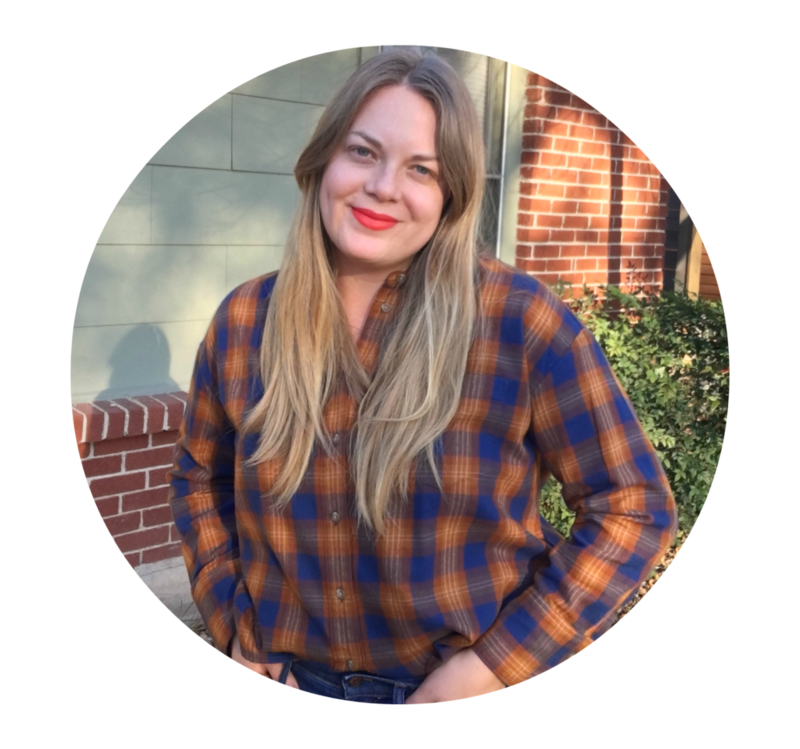 Every week we're going to be learning more about one of our badass doulas at AustinBorn. This week we're talking to Yazmin Costopolous, aka Yaz. For those of you who know this sweet lady, you already know that she is a dear friend, a grounded soul, and she carries with her a wisdom most definitely from another life. She's our rock start facilitator of The Circle and teaches yoga, when not spending time with her beloved husband and daughter. LOVE this question! A writer of the likes of John Berger or Patti Smith. A singer with a voice like Lila Downs or Joss Stone. A dancer. A globe trotter. But really, I just want to walk this Earth with a clear heart and a grounded presence. I was a faculty member for a university in Mexico City. I had the opportunity to work alongside different indigenous peoples, from whom I learned about the importance of community and the value of deep connection. These two aspects are key for me as a birth worker. How do you describe the role of a doula? Doulas are there to have your back, without agendas or expectations other than your own. We are knowledgeable, intuitive birth workers who are there to offer support and tools for you and your family to navigate your birthing/parenthood journey in a way that honors your specific needs and desires. I chant. Most of times it's my favorite mantra, some others I just sing the hell out of whatever song will make me feel grounded and spacious. This helps me release any anxious energy, release any expectations, and helps me tune in to pick up on whatever is best needed of me. Nobody knows your baby like you do. Nobody knows you like you do. Do what you feel you need to do to take care of yourself and your baby. Be gentle with yourself and your people. Everybody's trying their best. And yes, it's important to acknowledge how incredibly challenging this beautiful task of motherhood is. We're in the midst of one of the worst flu seasons in nearly a decade. #thanks2017 And even as the temps are slowly increasing in TX, we are not out of the woods yet. February is the peak month for flu activity. 2. Stay Hydrated. We know you're already being extra vigilant about your water intake during pregnancy, so keep it up during this flu season. It's helpful to carry a water bottle with you wherever you go, filling it up as it reaches the bottom. Don't let it sit empty! If you have trouble remembering to drink water, set an alarm on your phone to remind you to have a glass of water every hour throughout the day. 3. Rest Up. You need more sleep when your body is growing a baby, so don't let a lack of it put you at risk for getting sick. If your day doesn't allow for a quick nap, then make it a priority to get to bed early every night. Put down the phone, take a bath, and crawl into the sheets with plenty of time to score a solid 8-hours of dreamy sleep for you and baby. 4. Take Your Vitamins. There's a reason your care provider asks about your vitamin intake at every appointment. They're vital in boosting your immunity during pregnancy! Take those prenatal vitamins and also consider adding in Vitamins C & D*, as well as a probiotic for good gut health. What other tips do you have to share for flu prevention in pregnancy? Let us know in the comments below! *Always refer to your care provider for appropriate dosage of all supplements and medications. We recently realized that we've shared a good deal about what we do, but not about WHO we are at AustinBorn. So we'd like to give you a glimpse into the lives of the ladies who make up our sweet little AB team. Each week one of our staff members will be answering 10 fun questions about herself and her work. First up is Jami Yaeger, owner of AustinBorn. She's responsible for all things happening behind the scenes and is also on the birth and postpartum doula teams. When not with her team and clients, you can find Jami at home with her boys, finally reading books again, enjoying long baths (Please Do Not Disturb Mama Self-Care Time, Thanks. ), and geeking out on AustinBorn's Instagram page. She's originally a Mountain Mama from WV, has lived on both coasts and in between, has a squishy nose (cool + weird), and loves a good charcuterie and cheese board. Variations of purple. This became my color during pregnancy and definitely in labor, and I've been deeply connection to it ever since. Liberated. It's challenging, especially as a woman, to live a truly authentic life. Unrealistic expectations set by social constructs, social media, and our own damn minds, have most of us living so far from our true reality (the one we're afraid to embrace). My 30s have brought a great deal of clarity about who I am, and am not, and I hope to continue the work to walk toward my True North. I'm a theatre grad and had a voiceover business before giving birth to my son and becoming a doula/CLEC. One beneficial skill from my previous work is the ability to navigate different roles and effectively communicate. It's been vital in helping me create solid working relationships with clients, with care providers, wth my team at AustinBorn, and with other birth professionals in my community. What's one thing people may not know about a doula? We would chat about releasing the fear of childbirth and trusting themselves. This massive fear of labor and birth is too prevalent in our culture and it's deeply influencing the way parents in our country birth and raise their babies. My husband. We're about to celebrate 12 years of marriage (and many more prior to getting married) and that feels like one hell of an accomplishment. When I look back on all we've done together (deployments, 9 moves, becoming parents, buying a business after just moving to a new city), I'm proud that we're still doing the work to evolve. We can do just about anything together (Except yoga. He won't do yoga.) and that feels pretty damn good. First, I run through my checklist to make sure that all of my systems are in place at AustinBorn while I'm away. #bossladythings Then I either sit quietly and clear my mind or I'll put on some music and zone out -- anything to let go of my own stuff before walking into the birth room. Please trust your instincts and follow your intuition. Your family, friends, and Google are great, but look inward first before asking anyone else. You probably already know the answer. You're favorite song comes on right now. What is it? Anything by Florence + The Machine. It's cold in TX today! Austinites, are you surviving?! What are you doing today as the city is mostly shut down? We're tucked in at home doing a combo of self-care (Hello, homemade soup and an afternoon snooze!) and prepping for our upcoming classes. The former includes making this amazing Lentil + Sausage soup, which we also whipped up for a postpartum family. It's easy to make and is the perfect blend of protein and vitamin packed goodies for a recovering mama and an exhausted partner. What are some of your favorite things to make for a postpartum family? Share your recipes in the comments -- we'd love to add to our list! We're delighted that our first Easing Your Birthing Time class was a huge success this month! This 2-hour workshop includes tools for coping during the stages of labor: comfort measures, communication, mind/body connection, essential oils, and more. This is a GREAT class for partners to learn how best to support the birthing person. Next class is February 3rd from 4p-6p. Lastly, a note for parents of little ones who are starting solids soon. We have just a few spots left in our upcoming Introducing Solids workshop on January 20th. This class is taught by a pro -- an occupational therapist who will answer all of your questions, ease your fears, and help get you and your baby set up for success. Grab one of the few remaining spots now! Well, we're off to taste test the soup and daydream about that nap on the horizon. Hope you're all safe and warm, and we look forward to seeing you at an AustinBorn class soon!